From family-friendly festivals to kid-friendly museums, and a bustling lakefront to unique eats, the Midwestern city of Milwaukee has tons to offer families and would make the ideal family vacation. 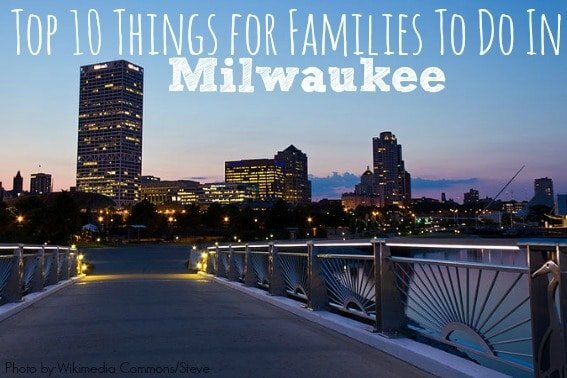 Here are our picks for the top 10 things for families to do in Milwaukee, including best eats, places to stay, and must-do day trips. While the three 85-foot-high glass-domed conservatories are a structural sight not to be missed, stepping inside these domes takes visitors to a whole new world. With mild temps year-round, the Mitchell Park Horticultural Conservatory, or the “Domes” as known to the locals, is the perfect opportunity for families wishing to escape to the rainforest or desert in the dead of winter. Milwaukee’s natural history museum, the Milwaukee Public Museum, takes families all around the globe with exhibits from Asia, Africa, the Arctic, South and Middle America, and the Costa Rican rainforest. Make sure to save time for the museum’s butterfly vivarium where you can walk amongst free-flying butterflies, stroll through Milwaukee’s streets as it was in the 1880s, or take a peek at the world’s largest dinosaur skull. With Milwaukee’s ideal lakefront location by the water, there’s no end to what you can do during the summer months. Love the beach? Flock to the popular Bradford Beach perfect for catching some rays or participating in a fun game of beach volleyball. Is water more your thing? Explore Lake Michigan by renting paddleboats at Juneau Park Paddleboats. Interested in having someone else take you around? How about a relaxing journey aboard a 34’ sailing yacht from Sea Dog Sailing or how about a European-style canal boat? Milwaukee also boasts a Riverwalk where visitors can take a picture with none other than the Fonz! 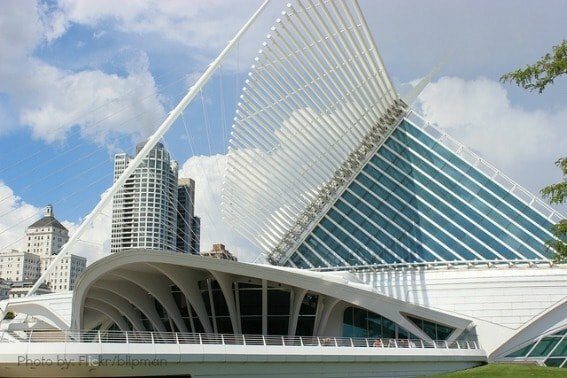 The Milwaukee Art Museum continues to wow visitors with its brise soleil, or “wings”, that open up against the beautiful lakefront. Besides over 30,000 art pieces including those from Picasso, Monet, and Warhol, the art museum tailors to the youngest art aficionados with a new program that encourages creative expression with a hands-on gallery. Don’t forget to grab an ArtPack filled with fun art activities. 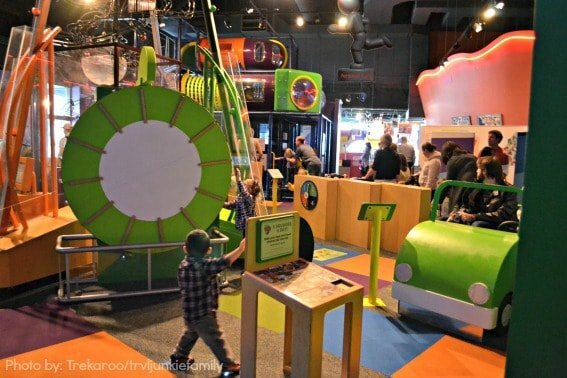 Kids 10 and under with endless amounts of energy will appreciate the Betty Brinn Children’s Museum where kids can let loose and learn at the same time! Older children will shriek with excitement at the three-story play structure while the younger set will have hours of imaginative play at Home Town, a revamped kids-size community including a pretend news studio and also a brand new Harley-Davidson dealership. There’s a reason why Milwaukee is called the City of Festivals. With family-friendly fests throughout the summer, there’s always something fun to do in Milwaukee. 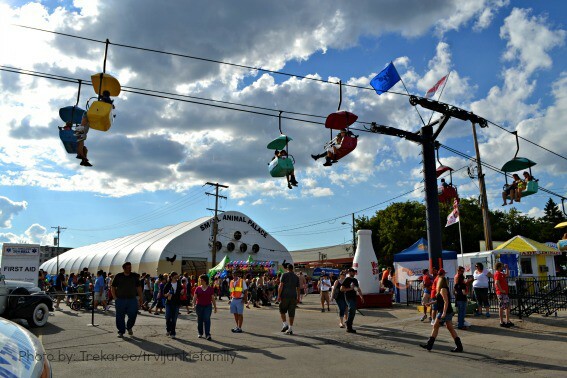 Many people may flock to Milwaukee for the world’s largest music festival, Summerfest, but families should make it a point to visit the wide variety of family-friendly fests. Sample cultures from around the world at festivals such as Polish Fest, Festa Italiana, German Fest, Irish Fest, Mexican Fiesta, and Indian Summer. For a smorgasbord of fried and unique eats, the Wisconsin State Fair is one not to be missed. A true Milwaukee experience isn’t complete without sitting in the stands at Miller Park for American’s favorite pastime. 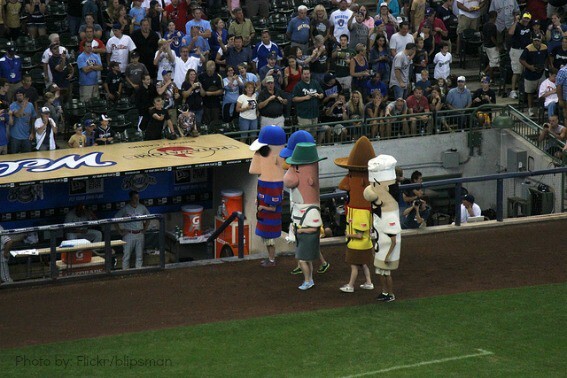 The sausage races alone are worth the trip, but the family-friendly atmosphere including a replica Bernie Brewer slide and clubhouse, pitching cages and batting cages makes it well worth it for families. The unpredictable Midwest weather won’t put a damper on any of the games; Miller Park’s retractable roof guarantees games will play on. Combining science, technology, innovation and environmental science, Discovery World has it all when it comes to learning. 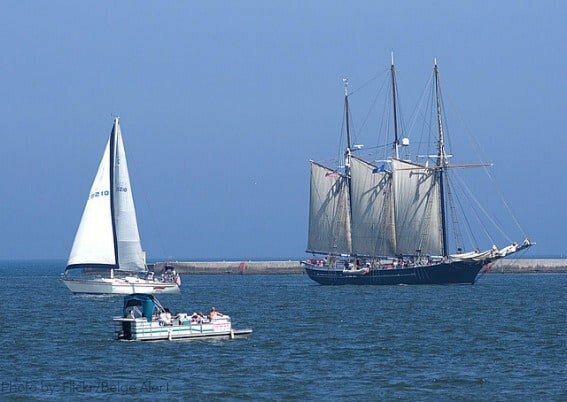 Whether you are riding on a human hamster wheel, visiting the aquarium, or pretending to sail on a 1900’s recreated schooner, the tough decision will be where to start! 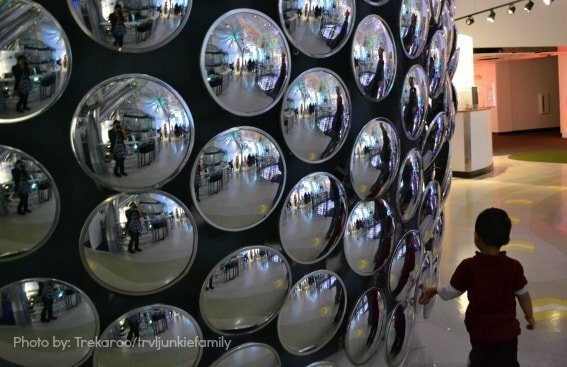 Even if you aren’t much of a Harley fan, you’ll still appreciate the Harley-Davidson Museum’s well-thought-out exhibits with over 500 motorcycles. 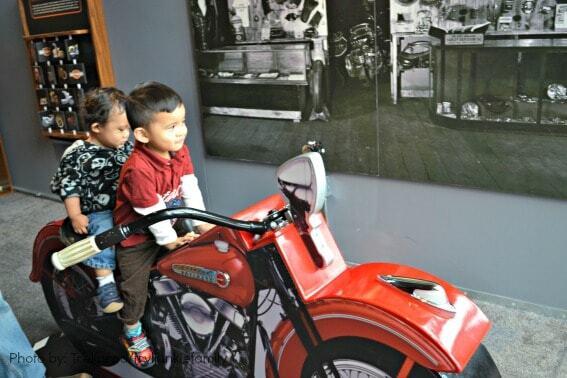 It will be especially hard to tear the kids away from fun interactive areas such as dressing up in Harley gear, riding on a mini motorcycle, or even creating a customized motorcycle. Both kids and adults will appreciate the room full of Harleys waiting for you to hop on. The best part though for both adults and kids will be hopping on the bikes and pretending to ride off into the sunset! Head to the Milwaukee County Zoo where families can feed giraffes on an elevated deck. Afterwards, the zoo’s 2000 animals from all around the world including polar bears, alpacas, black rhinos, kangaroos, and red pandas will be ready to greet you. Don’t miss one of the zoo’s most popular residents, the monkeys and apes. Get acquainted with the zoo by taking a ride on the zoomobile or if you have little train fans chug away on the mini train! 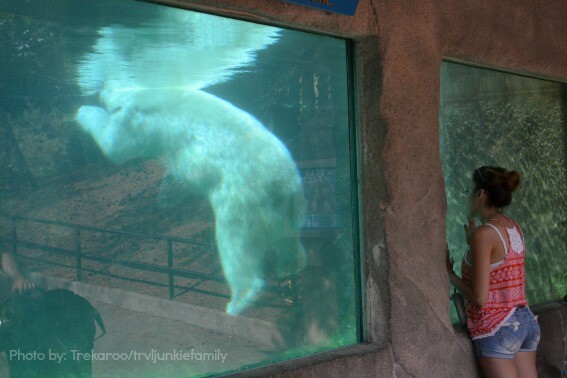 Read about more fun family-friendly attractions in Milwaukee here. Families will be happy to know that the “Brew City” offers more for families besides beer. Known for their fish fry, dine at the Lakefront Brewery on Fridays that offers an electric atmosphere with Polka music wafting through the air; kids and parents dance away! Looking for a delicious treat? 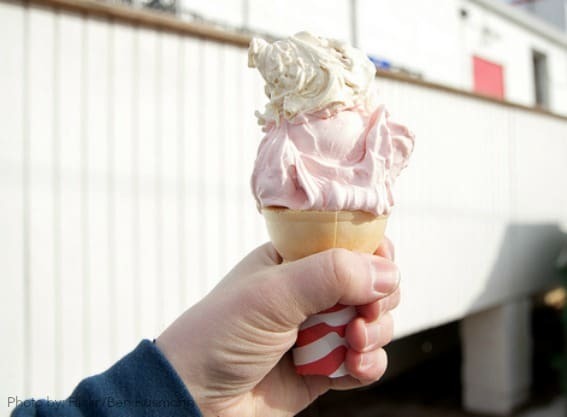 Leon’s Frozen Custard has been serving their rich custards to the community for over 50 years. Milwaukee also has deep roots in German heritage so head to Mader’s Restaurant, Karl Ratzsch’s Restaurant, or the Milwaukee Brat House; don’t forget to try the brats! For a taste of Milwaukee that will satisfy even the pickiest of eaters, families will need to stop by the Milwaukee Public Market. With 20 specialty food vendors that specialize in Wisconsin products, you’ll be hard-pressed to find something you and your kids don’t like. Find more places to chow down with the family here. Parents looking for a family-friendly (and pet-friendly) hotel with a great location should look no further than the Hilton Milwaukee City Center located right in downtown. Looking for another downtown hotel location? If you want to be near the action by the riverwalk, the Hampton Inn and Suites has you covered. The breakfast is plentiful and perfect for families. If you don’t mind being away from downtown stay at Staybridge Suites Milwaukee Airport South. They offer a “home away from home” atmosphere with a very convenient kitchenette including a fridge, microwave, and dishwasher. Don’t miss their free hearty breakfast; one of the best we’ve seen! 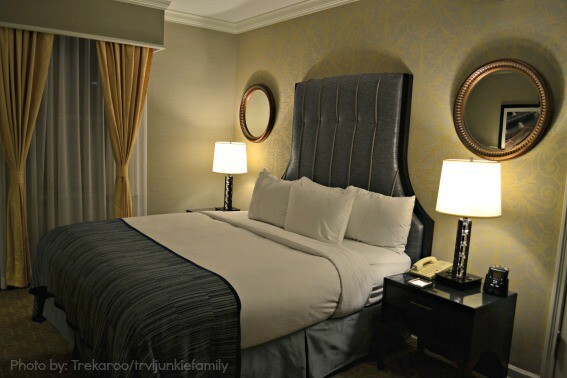 Check out more places to stay in the Milwaukee area. Just south of Milwaukee lies Kenosha and their wonderful Harbor Park. Hop on the vintage streetcar that loops around the downtown area passing by the waterfront. 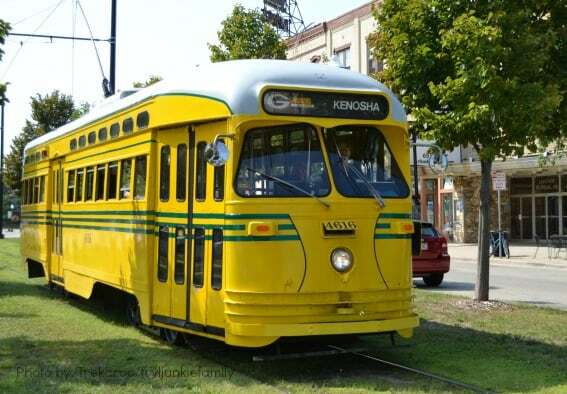 To add to the convenience factor, the trolley makes stops at each of the Kenosha museums. Dinosaur lovers will appreciate the free Dinosaur Discovery Museum, while those interested in history should make a stop at the Civil War Museum. Interested in seeing the oldest and largest wooly mammoth? 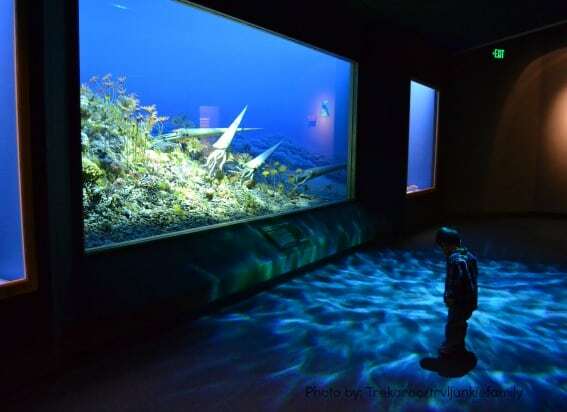 The Kenosha Public Museum, a natural history museum and art museum, should be on your list. The best part about most of these Kenosha museums? Admission is free! Families with a sweet tooth will appreciate taking a free train ride through the Jelly Belly Factory and leaving with a sample of these delicious candies. Looking for more fun in Kenosha? Check out this list. Madison may be known as a college town, but you’ll be surprised at how family-friendly it truly is! 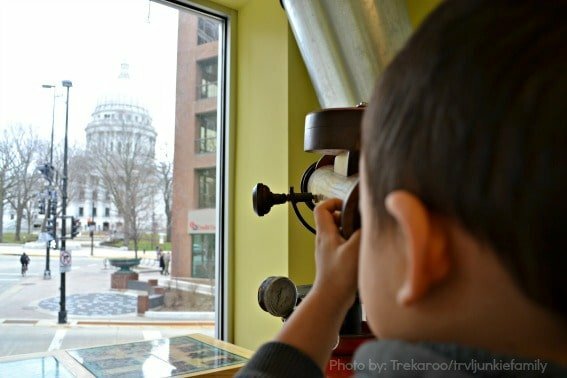 The Geology Museum brings together gems and dinosaurs, whereas the highly rated Madison Children’s Museum will keep the young ones preoccupied for hours with awesome views of the Capitol. (Don’t forget to visit their cool rooftop with a garden.) Love ice cream? (And who doesn’t?) A stop by the Babcock Hall Dairy on campus is a must, and has been churning their super premium ice cream for both students and families at the university area for decades. During the warm-weather months, a trip to the free Henry Vilas Zoo is always worthwhile, or take advantage of the many trails in the bicycle-friendly city. A trip to the farmer’s market is always fun. While you’re there, walk along the pedestrian-only road called State Street for a unique window shopping experience and delicious eats. Read more about activities to do with families in Madison. Lake Geneva is perfect for families that just want to unwind. No trip to Lake Geneva would be complete without getting on the water. Relax on Riviera Beach while you watch the boats take off on the Lake. Would you rather get on the water? The Lake Geneva Cruise Line offers a variety of boat tours that whisks passengers away including one with an ice cream social and another tour that takes passengers on a trip inside a mail boat to see how mail is delivered to lakeside residents. Walk around the downtown strip and make sure to grab an ice cream at Kilwin’s. If you are an adventurous family, Lake Geneva Canopy Tours will surely fit the bill as you zip through the air. Find more to do in Lake Geneva with the family. Want more kid-friendly fun in Wisconsin? 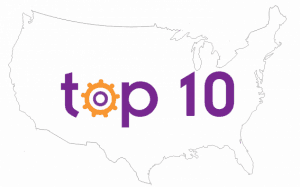 Check out our top ten things for families to do in Wisconsin! Cheryl Eugenio is one of Trekaroo's Travel Experts. When she’s not busy running after her two young boys and girl, blogging at O the Places We Go, and planning their family’s next adventure, she’s enjoying the suburbanite life in her wee ‘lil suburb outside of Chicago.